If you’re still scratching your head about what to get for your friends and family, our high-tech stocking-stuffer suggestions are perfect for anyone on your gift list. For a book lover, there's nothing better than the gift of unlimited (or nearly unlimited) reading. Amazon's Kindle Unlimited service has over a million e-books, a thousand audiobooks and a number of popular magazines, giving subscribers an all-you-can-eat book buffet. Though not every e-book on Amazon is available on Kindle Unlimited, with a million titles available, there’s plenty of variety. Despite the word Kindle right in the name, you don't need a Kindle to read this content. You can also read on iOS, Mac and Windows devices using the Kindle app. The app syncs your reading progress across all your devices, so you can read on your phone during your commute and pick up where you left off on your tablet or computer when you get home. 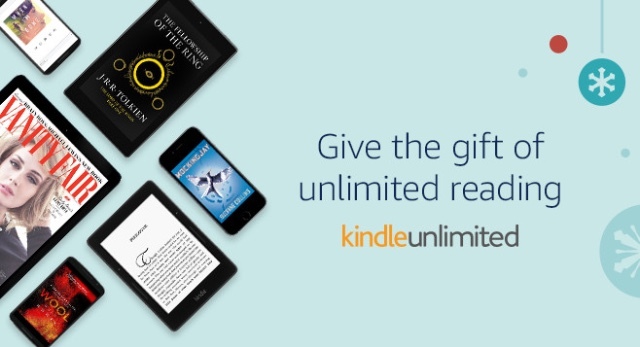 At $9.99 a month, Kindle Unlimited is priced in line with other e-book subscription services like Scribd and Playster. We feel Kindle Unlimited is a good buy because of Amazon's extensive catalog and the ease of reading across multiple platforms. You can gift Kindle Unlimited for six months ($59.94), 12 months ($119.88) or 24 months ($239.76). Want to give a gift with a bit more wow factor? Include a Kindle reader alongside a Kindle Unlimited subscription. A basic Kindle runs $79.99,but the best value right now is the Kindle Paperwhite bundle, which includes the Kindle Paperwhite (an e-reader with a much sharper screen),a power adapter and a case for $119.97. If you’d prefer to give a multipurpose device, Fire tablets are also a good buy. Grab the base model Fire for just $39.99or the Fire HD 8, which is faster and boasts more storage and a better screen, for $89.99. Gift cards have a bad rap as a thoughtless gift, but they’re convenient and flexible and your recipients choose exactly what they want. Gift cards are ideal if you aren't sure of the right gift, and they’re certainly a better buy than a holiday sweater that will wind up lost in the back of the closet. While you can run into most stores to grab a gift card, we like using Giftly.Giftly lets you send gift cards by email or text message, or print a paper card or get a paper card through the mail if you’d prefer to give a physical gift instead. Giftly isn’t a gift card for a particular store. Instead, Giftly allows gift recipients to choose how they'd like to get the money: as a gift card or as a credit to their debit card, credit card, bank account or PayPal account. That's flexibility an ordinary gift card just can't match. And because gift cards can feel impersonal if all you do is hand over a card with a dollar amount, Giftly helps by letting you suggest how your recipient spend it. You can be as general or specific as you'd like. Suggest that recipients buy their morning coffee with your gift card or that they buy their morning coffee at their favorite coffee shop. Customize the color and theme of the card, and choose item art (anything from buying a cupcake to spending a day at the beach) or upload your own. If you're suggesting shopping at a specific place, Giftly includes a map as well. 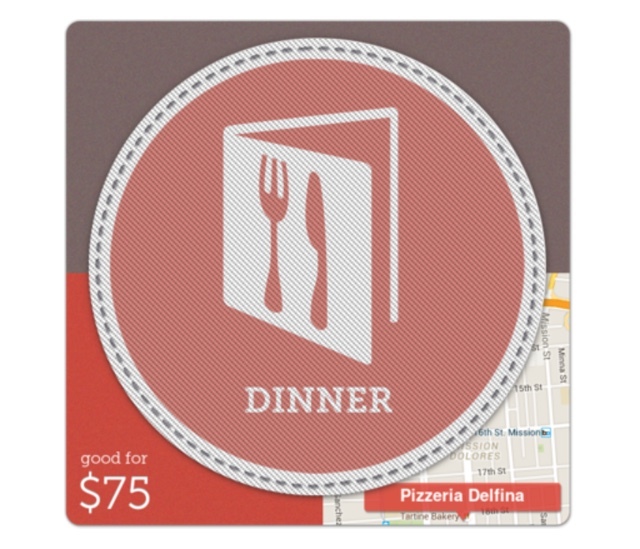 While recipient are still welcome to spend the gift however they'd like, Giftly makes gift cards feel personal again. They even give recipients an easy way to respond by telling you how they spent your gift. All of the Moto Z smartphones can be instantly transformed in a snap with Moto Mods. Screen holiday movies with the Moto Insta-Share Projector ($299), use theJBL SoundBoost ($79) to amp up your holiday party, capture family moments from any distance with 10x optical zoom using the Hasselblad True Zoom ($249), or get up to 22 hours of additional battery life with the Incipio offGRID™ Power Pack ($59) - keeping you powered all holiday season long. Additionally, you can change your phone's style with Moto Style Shells that come in a variety of beautiful finishes, like wood and leather. Heading out on the road this holiday season? Grab the new Incipio Vehicle Dock ($64) to co-pilot all your holiday road trips or the mophie Juice Pack ($79) to keep you efficiently charged while on the road. The Moto Z family is available through Verizon or unlocked via Amazon, Best Buy, B&H and Motorola.com. JBL SoundBoost, Moto Insta-Share Projector and Power Packs are available at Verizon, Best Buy, Costco and Motorola.com. Hasselblad True Zoom is available at Motorola.com, Verizon.com and Verizon stores, and the Incipio Vehicle Dock and mophie Juice Pack are available at Verizon stores. If you're agonizing over what to get the person on your gift list who has everything, have you considered customized shoes? Though this is basically another kind of gift card — you'll want recipients to customize their own shoes so they're just right — it makes for a unique gift that's as much an experience to create as to receive. You may be surprised how many shoemakers take custom orders, including big brands like Vans, Nike, Converse, Adidas and Reebok. Sneaker companies typically allow buyers to customize styles and fabrics of existing designs, freely mixing and maxing. It’s a great casual gift option and a much more unique gift than a pair of shoes off the shelf. 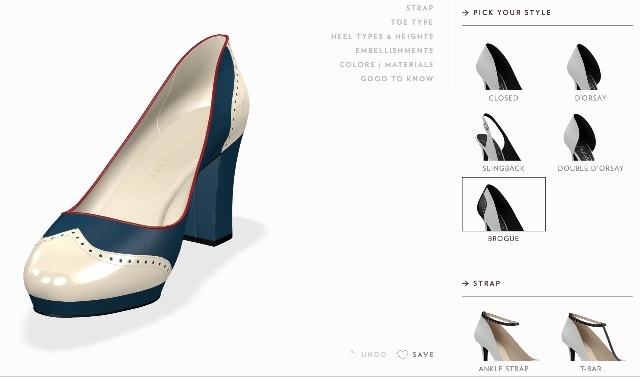 For those who aren't interested in sneakers, there's another option: Shoes of Prey, which offers customizable, fashion-friendly women's shoes.These shoes are more customizable than your standard sneaker. Pick a basic style, then choose a back style (like closed or slingback for heels, or height for boots), strap style, toe style, type of heel (wedge, stiletto, cone or block), heel height and visual embellishments, as well as color and materials. Designs start with basic boots and range to the most elaborate heels you can dream up. It's a great gift for your favorite fashionista. And don’t worry about giving the gift of a shoe that doesn't fit; Shoes of Prey will remake shoes until they fit just right. With any of these options, of course, you're giving a gift certificate. For stores other than Shoes of Prey, you may want to explain that the card can be used to create custom shoes. Before you choose an amount, we recommend browsing the store to see how much an average pair of shoes costs to make sure you're giving an appropriate-sized gift card. It can be tough to get a gift for a gamer, because it's hard to be sure what's already in their game library. Even if you know they don't have the latest hot title, is it because they didn't have the money to spend or because they weren't that interested? Unless you know their tastes well, a gift for their favorite gaming service is probably a better idea. Depending what the gamer on your gift list plays, your best bets are a Steam gift card (for Mac or Windows), an Xbox gift card (for all Xbox systems) or a PlayStation Store gift card (for all PlayStation systems). Steam is a service that sells major PC games as well as indie titles. It’s famous for its sales, which have prompted many a gamer to empty their wallet on discount titles. A $50 Steam gift card is typically enough to buy a new major game (or half a dozen titles on sale). For both PlayStation and Xbox players, you have two options. Get gift cards for the appropriate game store, which they can use to buy games, or give them a PlayStation Plus or Xbox Live Gold membership. These membership programs offer free games every month, access to multiplayer gaming and exclusive discounts. Most gamers will find either option a solid addition to their gaming arsenal, so the choice is up to you. A year's membership in PlayStation Plus costs $49.99, and a year's membership in Xbox Live Gold costs $59.99.Gift cards can be bought from $10 to $100 for both services. Expect brand new games to cost $50 to $60. Older or sale titles cost around $30, and content packs for games cost around $10. Pick your Xbox or PlayStation gift card size based on the type of gift you'd like to give, and you’ll be good to go. Sometimes the best last minute gift is a special message for your loved one. The 2016 version of Portable North Pole (PNP) brings the magic of Christmas to life with personalized video messages and calls directly from Santa, giving children (and the young-at-heart) a glimpse into his enchanting North Pole village. You can create a highly personalized video message in just a few minutes on the web or with the free PNP mobile app (iOS and Android). Customize the message with personal photos, elements of daily life, names of family and friends and whether children have been doing good deeds (or not!). The personalizations make Santa all-knowing and allow you to send completely customized video messages that engage, surprise and keep children well-behaved before Christmas. PNP offers free videos for everyone, with the option to upgrade to a premium package, including the Video Pass ($8.99) or Magic Pass ($12.99). Both packages provide enchanting premium video storylines to choose from, featuring several adorable experiences. PNP is available in six languages - English, French, Spanish; and, new this year, Japanese, German and Italian. And to help spread a little extra cheer to those kids who may need it the most, PNP donates five percent of all online sales proceeds to children’s hospitals around the world. If the shopper on your list doesn't already have Amazon Prime, give the gift of convenient of free two-day shipping (and free same-day shipping in select areas)—and much more. Instead of making a run to the store, they can get whatever they need with a few clicks on Amazon. No more dashing out of the house to grab the one thing on their shopping list they forgot. And, Prime offers a lot more than free shipping. Subscribers enjoy access to movies and TV via Prime Instant Video, over two million songs to stream with Prime Music, over a thousand books with Prime Reading, game deals and content with Twitch Prime, and unlimited online photo storage. For anyone just dipping their toes into the world of digital content, Amazon Prime offers a huge range of content for a single subscription price. 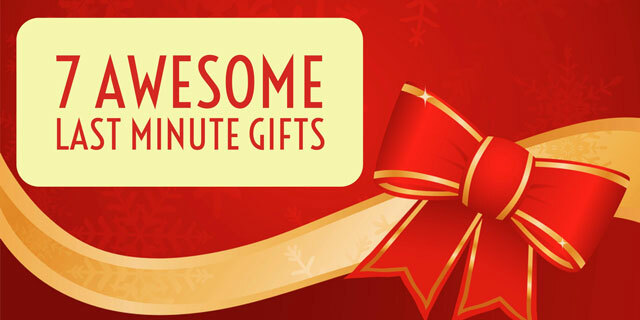 Haven't found the perfect gift? If nothing on this list feels like the right choice for the people left on your gift list, don’t despair. There are plenty of ways to snag last-minute gifts with same-day delivery in most major metropolitan areas.